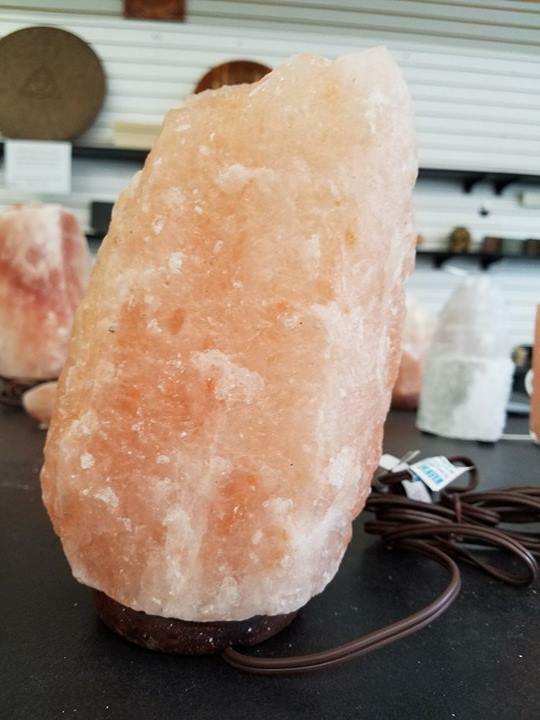 Colored with natural minerals, such as iron, these lamps are wonderful examples of the natural wonders that can be found within the earth. 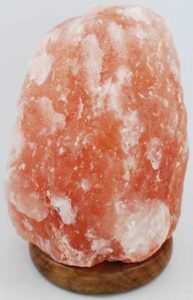 Each lamp is created with a large piece of Himalayan rock salt that has had its core hollowed out, and has been fastened to a sturdy wooden base. 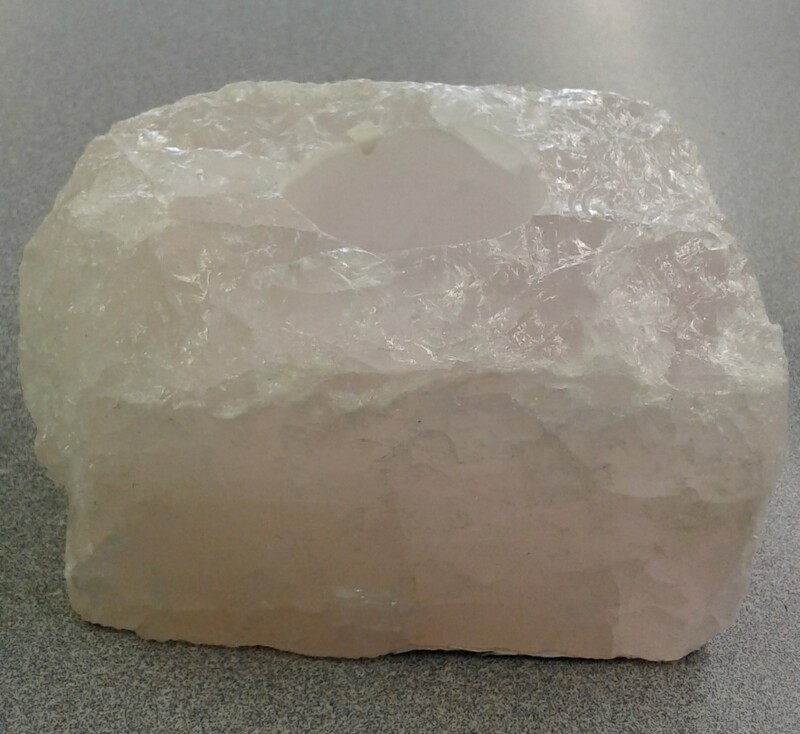 This allows for the small light that comes with it to be placed within the piece of rock salt, creating a warm, pink glow that is great for creating a soothing atmosphere in whatever room it is placed. 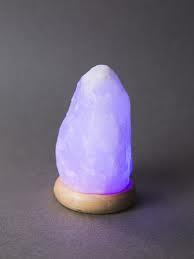 Further, as these lamps heat up it is believed that they create healing negative ions, which are believed to help balance your electromagnetic field, purify the air, and generally help create a sense of serenity. 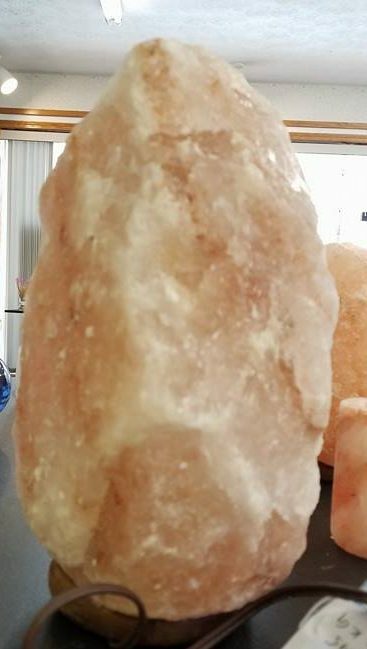 Each lamp stands approximately 6 high and 4″ in diameter and weight approximately 4.4 Kg, though the exact sizes will vary, as the salt is left in its raw form and is a natural product of the earth. 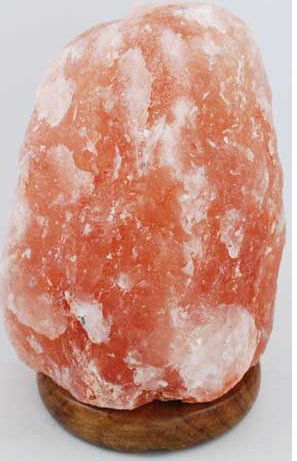 Each also comes with a light bulb and cord that can be plugged into any standard U.S. socket.